The evening is finally yours. You’re done with all the chores, have put your kids to sleep and finally get a few precious moments to unwind and relax. Instead, you’re experiencing symptoms of anxiety and you're unsettled. If this is not a one-off experience and occurs with some regularity, it might be time to address your environment. In fact, experts have suggested that something like repainting your home could possibly improve your health. Psychologists say there is a correlation between color and mood. This is why selecting a wall paint for your home shouldn’t be a matter of aesthetics alone; you should also take into account the effect a color has on your well-being. Experts say when it comes to choosing a color, focus on how it makes you feel as opposed to picking a color because you like it. Psychologists have further found that different color combinations tend to bring out different shades of our personalities. The trick is to leverage these colors in a way that results in a happy, healthy home. If you're going through a house remodel or renovation, taking down a home repair project or looking to shake off some depressive symptoms, these paint color ideas will help you choose a harmonious mix of colors that captures the right mood and aesthetic. If you’re anxious or amped up most of the time, you might want to skip bright colors such as red or orange. Red is known to increase blood pressure and heart rate, so if you want your home to be an oasis of calm to curb your anxious mind, it might make sense to choose a more soothing palette. 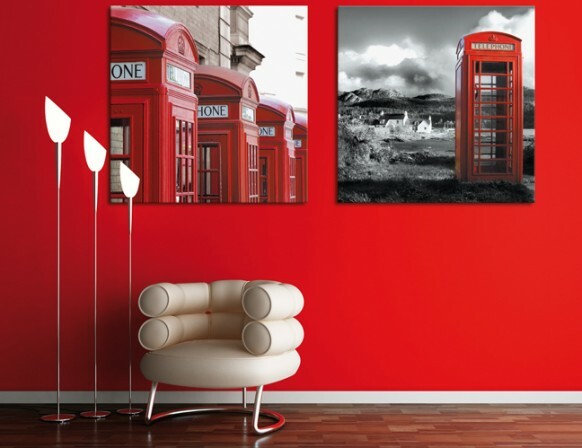 On the other hand, if you tend to feel sluggish, red is an excellent choice for your home interior, as it helps with alertness. 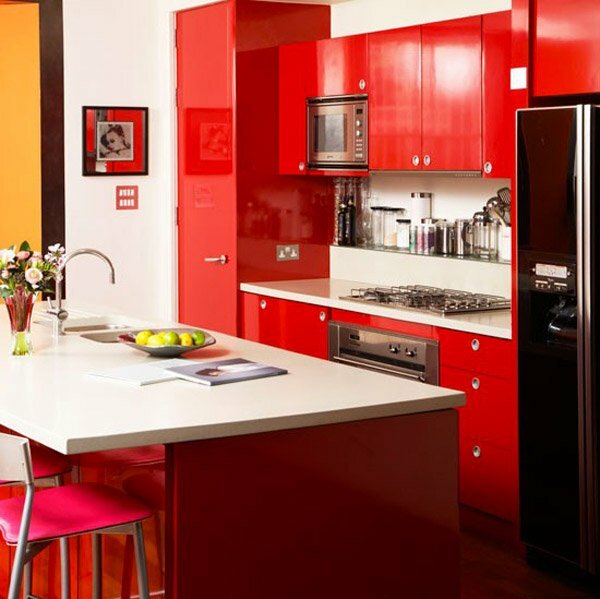 You could incorporate bold colors sparingly, such as painting your cupboards red to make them pop or painting a statement wall in a feisty color while keeping the rest of the room neutral. 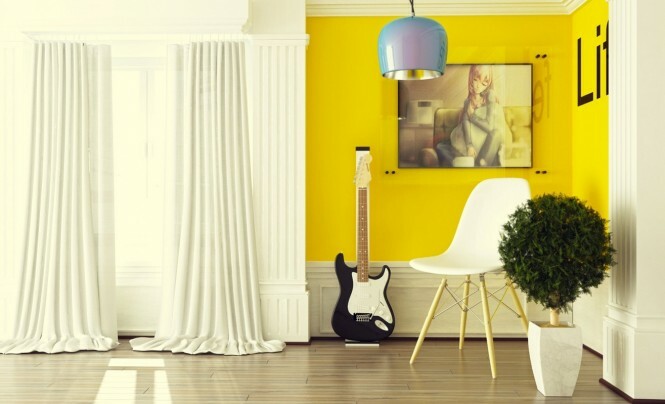 Colors such as yellow and vibrant pink signify energy and are excellent choices for invigorating your home décor. If you don’t want to paint a whole room yellow, try incorporating yellow accents or drapes to invite that much-needed positive energy. If your home is all neutrals, you can add some pink cushions or lamps to give it spark. Green is a color for concentration and is the best color to be surrounded by for long periods of time. But you don’t have to stick to earthy greens; experiment with teal, mint or turquoise for dressers, bed frames, rugs and walls. If you're looking for interesting home ideas to give you a vintage feel, try sprinkling in some light pink accessories. Restaurateurs have long known that the color red promotes a healthy appetite. Use red in your dining room and kitchen to stoke your family’s hunger and build anticipation for whatever you have cooking on the stove! Shades of blue and green are found to have a calming effect and are best used in the bedroom. You could also paint your bathroom walls with these serene colors for an in-home spa experience. However, vibrant shades such as royal blue and Kelly green might be too dramatic and energizing. Are you cold all the time? If so, you might prefer warmer colors such as reds and yellows. On the other hand, if you’re mostly warm by nature, cool greens and blues will complement your state of being. 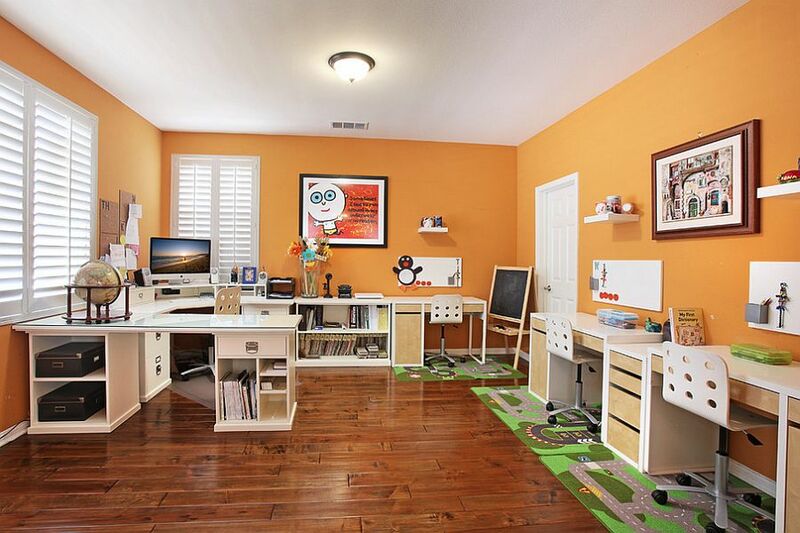 Color can also be used to create or reduce the perception of space in a room. Painting your ceilings and rooms white might make the area seem more spacious compared with a dark color, which would make for a cozier, more intimate feel. Remember, these colors and mood associations might not affect everyone the same way. Don’t be afraid to experiment and paint outside your comfort zone. Regardless of the color combinations you end up choosing, try to limit the color palette to a maximum of three. Concentrate on how they make you and your family feel when you’re surrounded by them and decide accordingly. Whether you are thinking of remodeling your home or are researching paint color ideas, keep these tips in mind to make your home a sanctuary of health and well-being!